Jewish practice involves a number of special objects, referred to as ritual objects or Judaica. Many people like to use, or even collect, beautifully crafted objects, honoring the concept of hiddur mitzvah, beautification of the mitzvah. The objects below are listed in alphabetical order. All can be purchased from most Judaica stores and online. (Prefabricated sukkahs and sukkah-building kits are available for purchase, although many people prefer to build their own.) Most of the objects listed — with the exception of the yad, shofar and Torah scroll, which are generally reserved for synagogue use —are commonly found in Jewish homes. 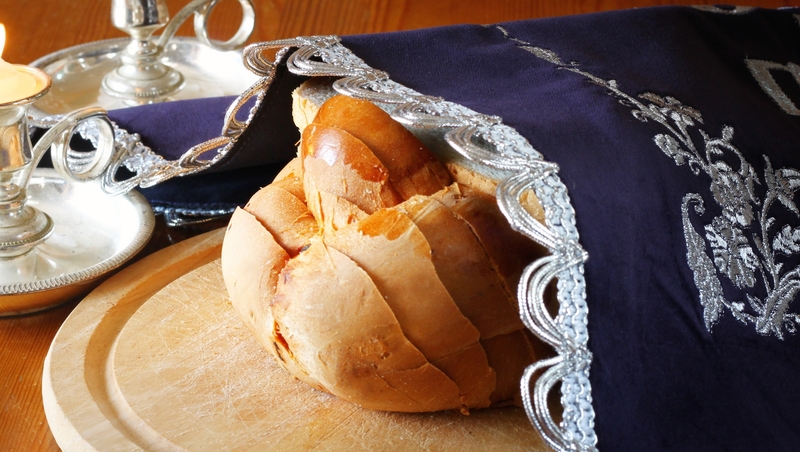 An opaque cloth, often made from embroidered velvet although any fabric can be used, that is used to cover the challah bread at the outset of the Sabbath meal. It is customary to keep the loaves covered until after the kiddush blessing is recited over wine. Find a challah cover here. A four-sided spinning top marked with the Hebrew letters Nun, Gimmel, Hey and Shin (Peh in Israel), an acronym for the phrase “A great miracle happened there” (“here” in the Israeli version). Dreidel is a game played during the festival of Hanukkah. Buy dreidels here. 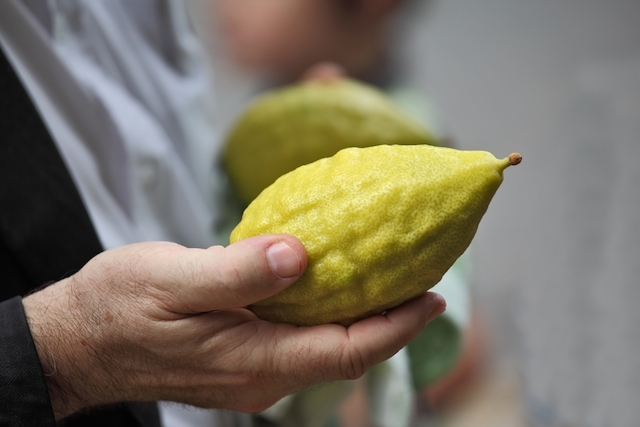 A lemon-like fruit known as a citron, the etrog is one of the four species — along with lulav (palm frond), hadas (myrtle) and aravah (willow) — used on the fall festival of Sukkot. Traditionally, the four species are taken together and waved each day of the seven-day festival. A fresh etrog must be purchased each year. Buy an etrog here. 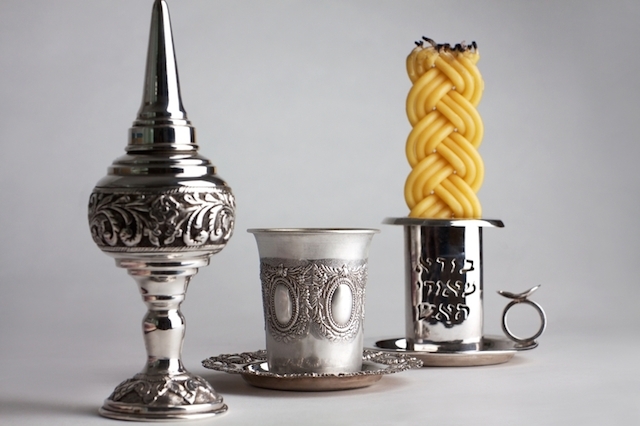 A braided candle with multiple wicks, these candles are used in the ceremony of Havdalah (literally, separation), which marks the transition between the end of the Sabbath and the beginning of a new week. Buy Havdalah candles here. 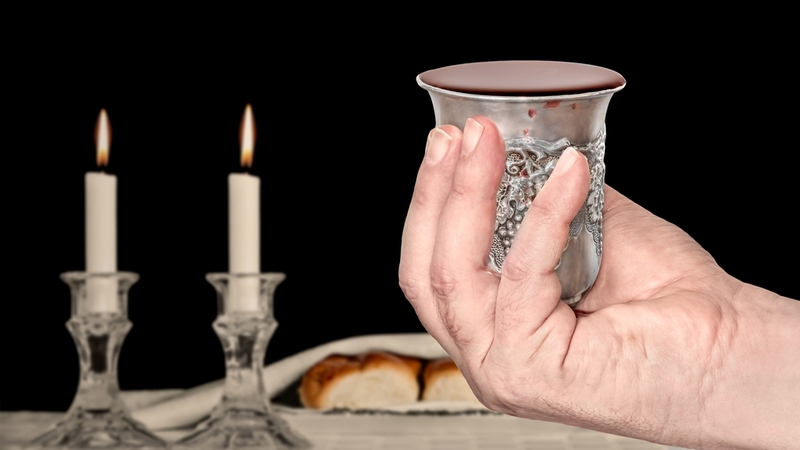 A wine goblet, often made of silver, used for making Kiddush, a blessing over wine (or grape juice) recited at the beginning of most Jewish holiday meals. Buy a Kiddush cup here. Also called a yarmulke, a kippah is a skullcap worn during Jewish ritual activities, though some observantJews wear one all the time. Traditionally, it was worn only by men, but some women choose to wear one as well. Shop for a kippah here. The frond of a date palm tree, the lulav is the largest of the four species used on the holiday of Sukkot. A fresh lulav must be purchased each year. 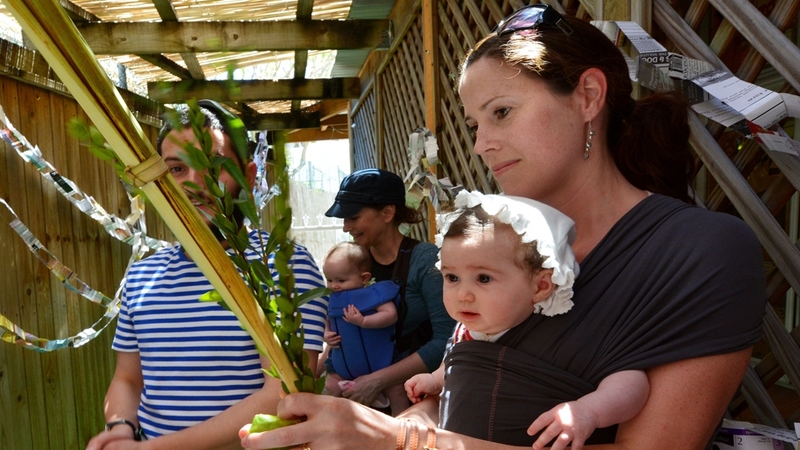 When the myrtle and willow are combined with the lulav for Sukkot, the three together are referred to as a lulav. Buy a lulav and etrog set here. 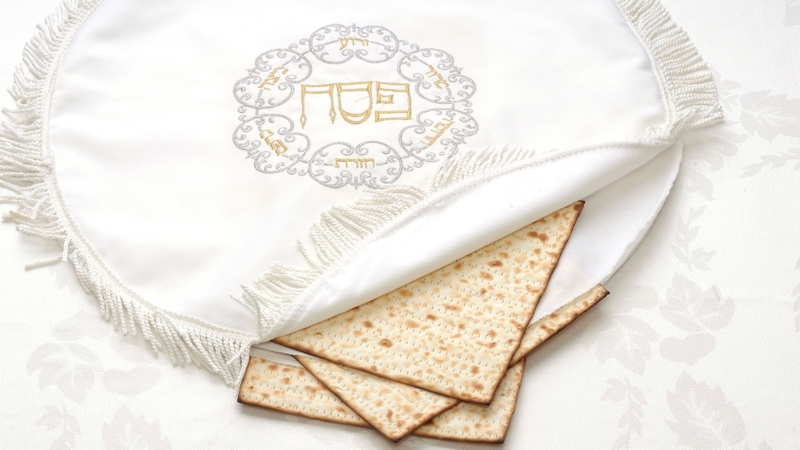 An opaque cloth used to cover the matzah (unleavened bread) on the Passover seder table. Buy a matzah cover here. 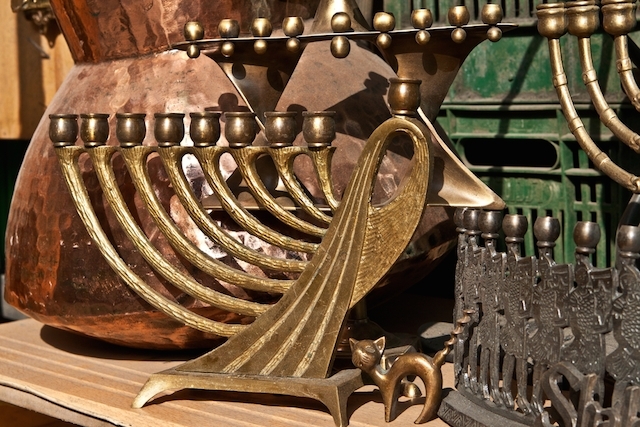 Also called a hannukiyah, the Hanukkah menorah is a nine-stemmed candelabra (eight flames plus one “helper candle,” known as a shamash) used on that holiday. Distinct from the seven-candled menorah used in the ancient temple in Jerusalem, the hannukiyah symbolizes the miracle of the holiday, when an amount of oil suitable for one day of light burned for eight days. Buy a Hanukkah menorah here. A small box containing verses from the Torah written on parchment that is affixed to the right doorpost of Jewish homes. It often displays the Hebrew letter, Shin, the first letter of one of God’s names. The practice of affixing a mezuzah derives from Deuteronomy (6:9): “And you shall inscribe them on the doorposts (mezuzot) of our house and on your gates.” Buy a mezuzah here. The centerpiece of the Passover seder table. The seder plate traditionally holds five or six items, each of which symbolizes a part (or multiple parts) of the Passover story. Buy a seder plate here. Two or three candles that are lit just prior to sunset on Friday to usher in the Sabbath. Any candles can be used, but traditionally they are white and should be large enough to burn for the duration of the Shabbat meal. Many families have special candleholders reserved for their Shabbat candles. Buy Shabbat candles here. Buy Shabbat candlesticks here. A ram’s horn blown in synagogue on Rosh Hashanah, the Jewish new year, and at the conclusion of services on Yom Kippur, the day of atonement. 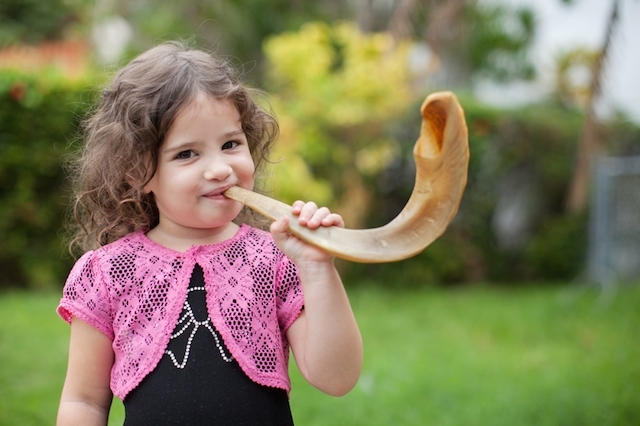 In the context of High Holiday services, the shofar serves as a call to repentance. Buy a shofar here. 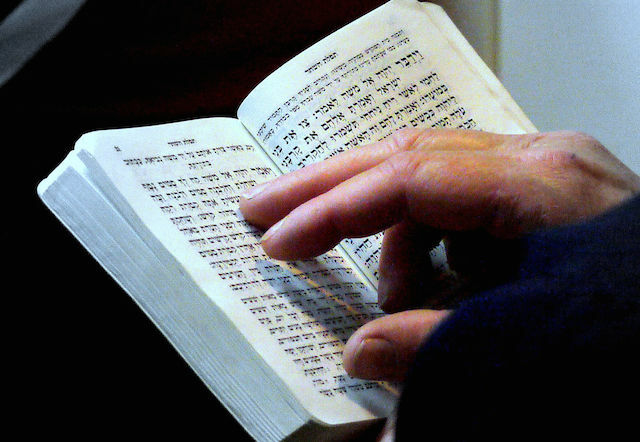 A siddur is a Jewish prayer book containing liturgy recited in synagogue services. While they are generally available for anyone to use at synagogue services, many people like to have their own. There are countless editions of the siddur corresponding to different periods in history, the variety of Jewish liturgical traditions and, in modern times, a proliferation of styles and ideologies. Find out how to buy or download a siddur here. A spice box, often made of silver, is used to hold sweet aromatic plants, besamim in Hebrew, that are sniffed as part of the Havdalah service ending Shabbat. In Ashkenazi homes, cloves are a common choice. Sephardic communities use sprigs of various aromatic plants. Buy a Havdalah set here. A sukkah is a temporary dwelling with a thatched roof used during the fall festival of Sukkot. Traditionally used for holiday meals, some Jews have the custom to live as much of their lives as possible in a sukkah during the holiday, even sleeping there. Buy a sukkah kit here. A prayer shawl made from wool, cotton or synthetic fibers traditionally worn during morning prayers. 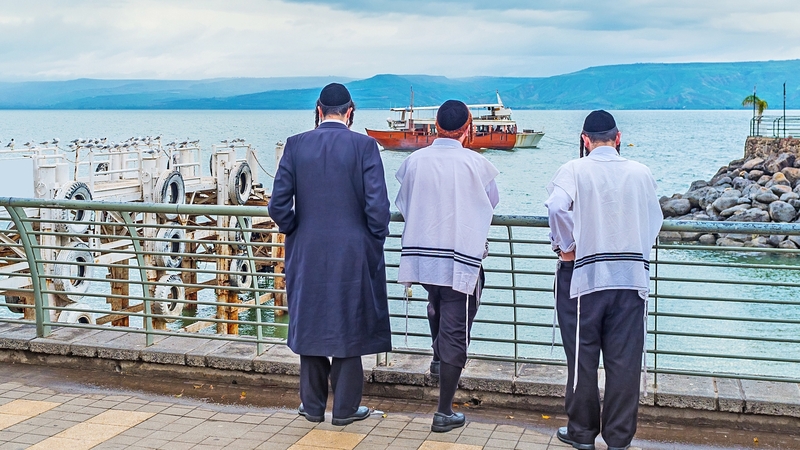 In Orthodox communities, a tallit (or tallis, in the Yiddish pronunciation) is traditionally worn by men, though women in non-Orthodox congregations — and sometimes in Orthodox partnership minyans — wear them as well as a matter of personal choice. 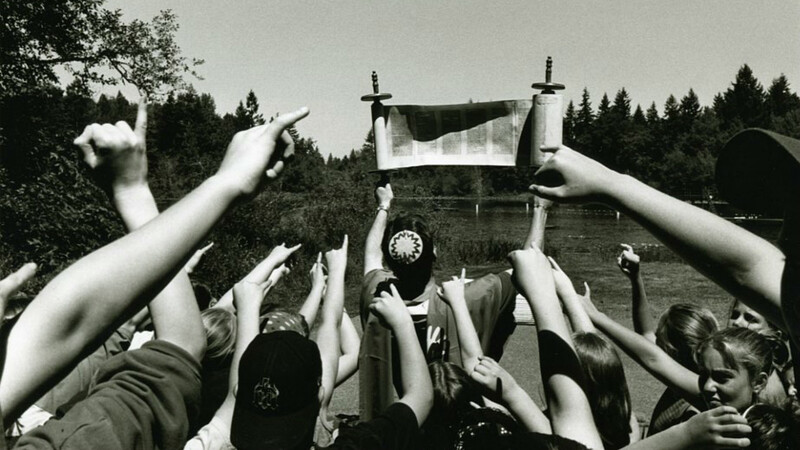 As with siddurim, tallitot (the plural of tallit) are usually provided and available for use at synagogue services, but many people like to have their own. Buy a tallit here. Tefillin (phylacteries in English) are two wooden boxes, filled with scriptural verses written on parchment and bound in leather straps, which are affixed to the head and left arm (right arm for the left-handed) during morning prayers, except on Shabbat and festivals. 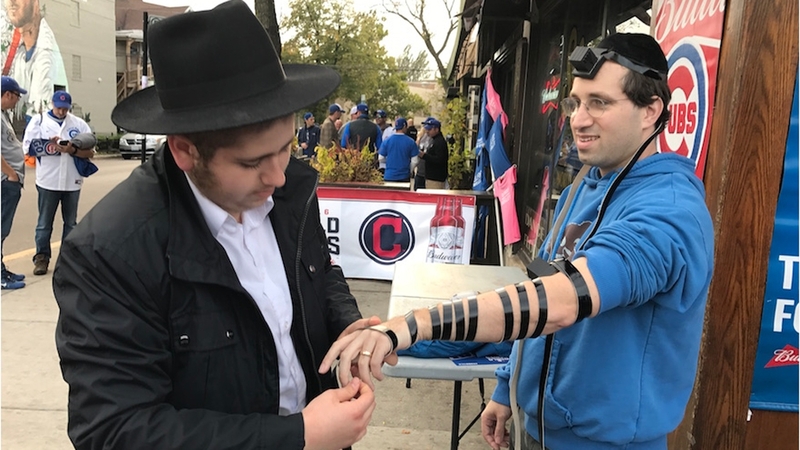 They are worn in fulfillment of the Torah directive to “bind them as a sign upon [their] hands and making them totafot [an enigmatic term] between [their] eyes.” Buy tefillin here. 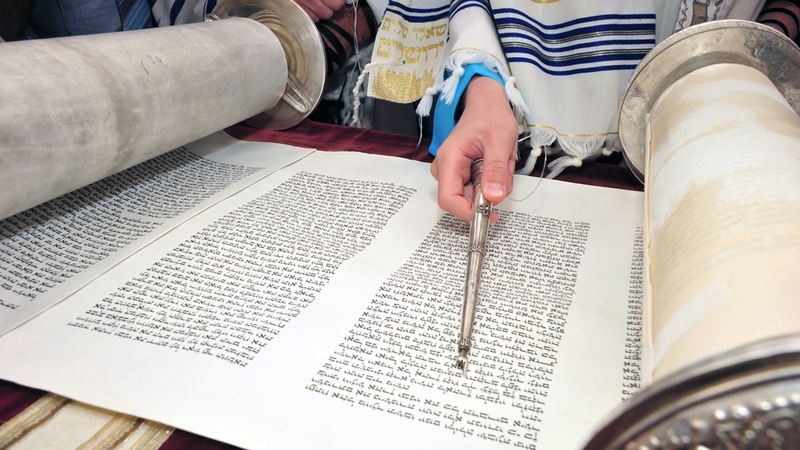 A Torah scroll (Sefer Torah in Hebrew) refers to the Five Books of Moses (alternatively the Pentateuch, or Chumash in Hebrew) written on parchment that is read aloud in synagogues on Shabbat and holidays. In the Ashkenazi tradition, the scroll is affixed to two wooden rollers, covered in embroidered velvet and sometimes topped with silver ornaments known as rimonim (Hebrew for pomegranates). In the Sephardic tradition, the entire scroll is sheathed in a hard case. 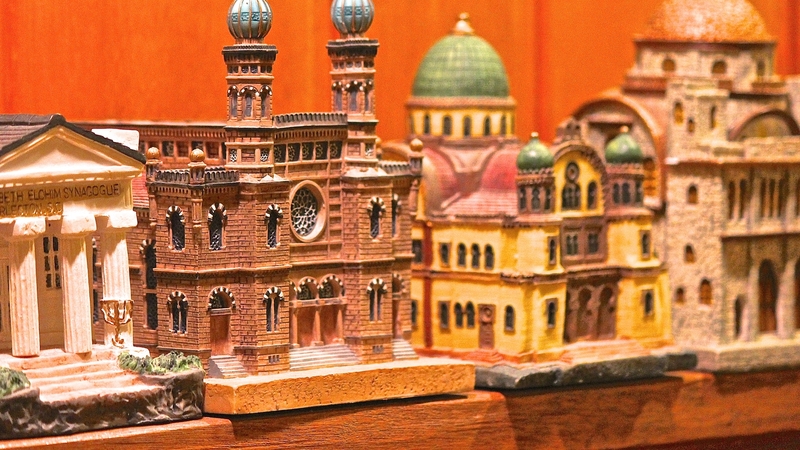 A collection of tzedakah boxes made in the shape of historic synagogues. A tzedakah box, or pushke in Yiddish, is a receptacle for collecting money for charity. Buy a tzedakah box here. Tzitzit are the tassels affixed to the four corners of a tallit. They are also sometimes affixed to a four-cornered undergarment that is also called tzitzit (sometimes called tallit katan, or “small tallit.”). The practice of wearing tzitzit, traditionally by men, is biblical in origin. Buy tzitzit here. A pointer, commonly made of metal or wood, that is used by the synagogue Torah reader to keep place in the scroll. Buy a yad here. A yahrzeit is the Hebrew anniversary of a person’s death, and a yahrzeit candle is a long-burning candle that is traditionally burned for 24 hours in that person’s memory. It is also known as a Yizkor candle; Yizkor is the memorial prayer service recited on several holidays. Buy yahrzeit candles here. Pronounced: YAHR-tzite (long i), Origin: Yiddish, anniversary of a death on the Jewish calendar. Pronounced: PUSH-kuh, Origin: Yiddish, tzedakah box, a container for collecting charitable donations. Pronounced: shah-MAHSH, Origin: Hebrew, the helper candle, used to light the other candles on a Hanukkah menorah. What Ritual Object Goes With Which Holiday? Match the ritual object to its corresponding holiday.